Deciduous shrub or small tree, up to 6m high, native to atlantic and central North America; branches with zigzag pattern between the nodes. Products of the twigs wih leaves (Hamamelidis folium et cortex) are used to treat diarrhea, as a gargle and mouth rinse for inflammation of the gums and throat, skin ailments including wounds, bruises and abrasions, varicose veins, and haemorrhoids. 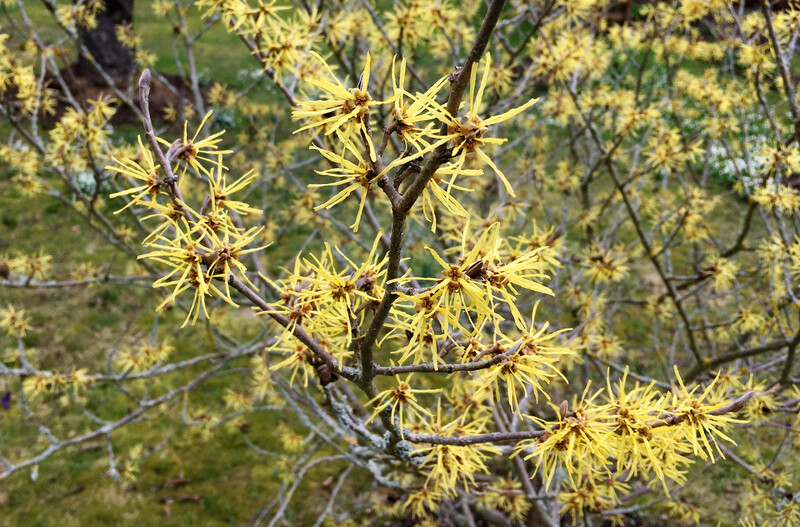 Hamamelis water is made by steam distillation with water to which ethanol is added at the end. The product contains 15%(vol) ethanol and 10-80ppm essential oil.